My mum and I visited Istanbul for 4 days. 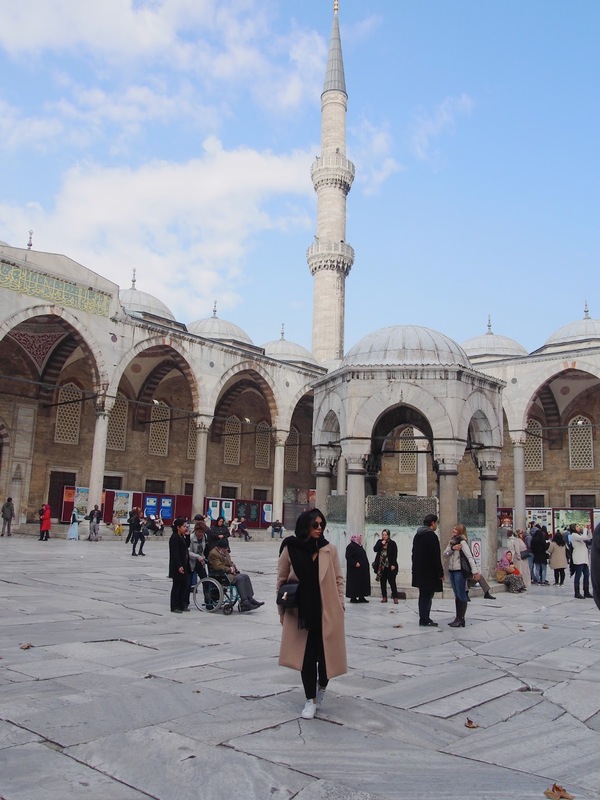 As it was our first time going, we had no idea where the best places were to stay, so we booked a hotel near Sultanahmet. This is the more historic side where you get to see old city Istanbul - and of course the most famous mosques! Istanbul is one of the most beautiful and rustic cities I've visited. It was more beautiful than I had expected. It competes with Rome when it comes to Architecture and historical ruins. Everywhere is so photogenic - I literally couldn't stop taking photos! Before going, I knew that we would see a few stray cats but I was surprised to see that they were literally everywhere. Being the crazy animal lady I am (mum too) we gave them a lot of attention! During our time in Istanbul, we took a ferryboat over to Uskudar to visit relatives and crossed the bridge by tram to spend the day in the busy and modern Asian side. It was so easy to get around so I wouldn't worry too much about which area you're staying in. I've put together a little guide if any of you are thinking to visit - something like this definitely would've helped us and saved us a lot of time! We didn't have enough time to see everything but it's the perfect excuse to go back! 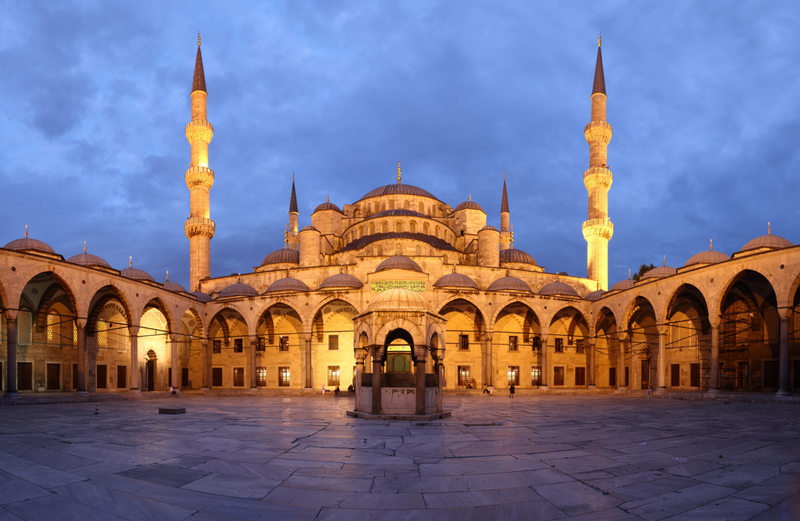 Tourist - Visit the Blue Mosque - The number one thing to do in Istanbul and the most beautiful mosque inside and out. 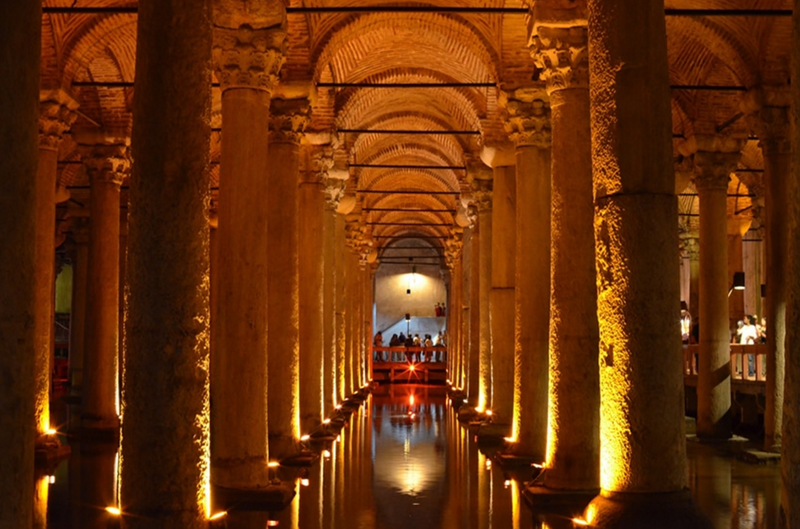 Basilica Cistern (photo above) - One of the largest cisterns located underground - look out for the upside-down Medusa head that forms the bottom of one of the columns. Bosphorus Bridge - Take an excursion to see the views and the bridge that connects the European and Asian sides of the city. 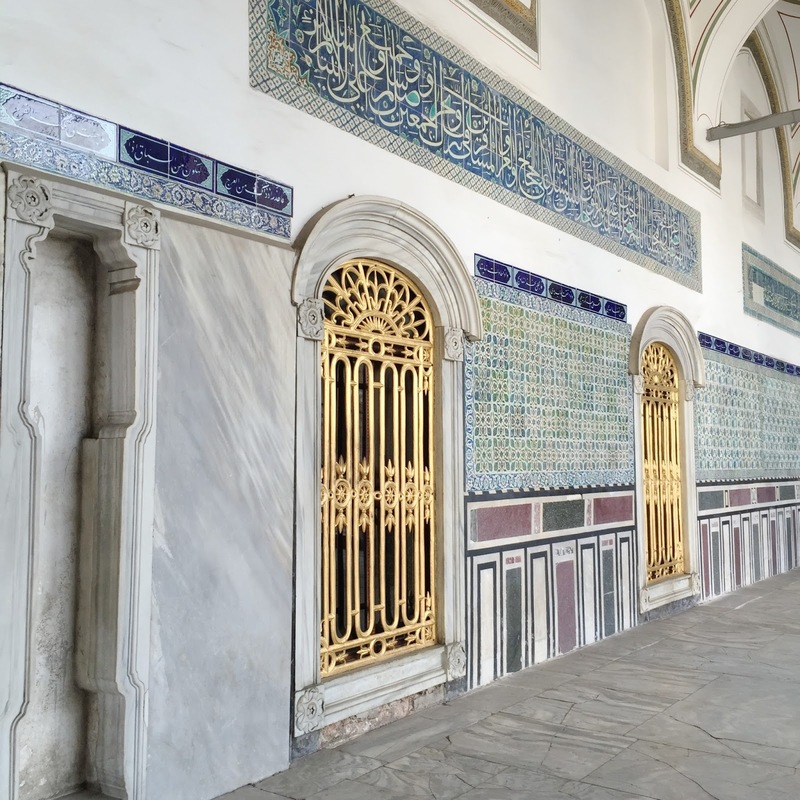 Topkapi Palace - You need a few hours to see the whole palace but the grounds and buildings are beautiful and have some of the most breathtaking views. Shopping - Taksim square for your typical high street stores - yes there is a Sephora! 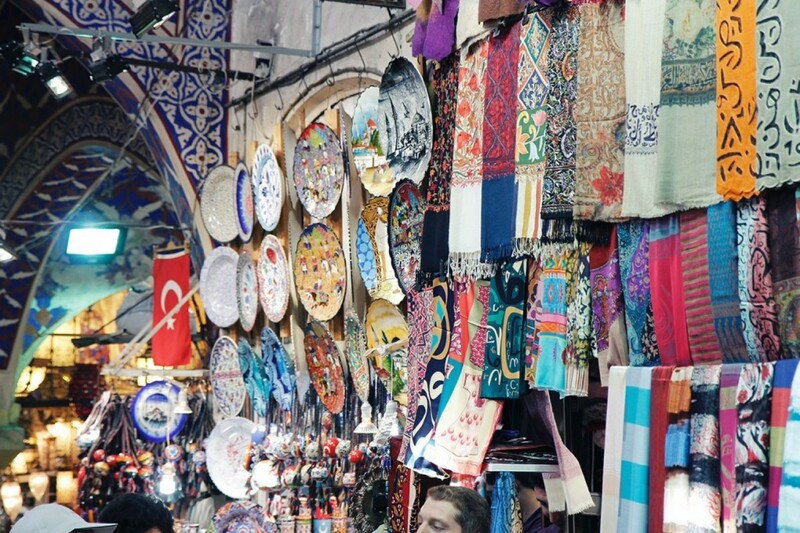 Grand Bazaar - Make sure you practise your haggling skills before going. My number one trick that always works is to give them the price you want to pay, if they don't agree then walk away! Works every time. Nisantasi & Bebek - Istanbul's version of Sloane Street for you luxury shoppers! What to eat - You have to have Turkish tea and baklava at least once - it's tradition. Corn on the cob is everywhere on the streets, you can choose to have it grilled or boiled. If you're craving something sweet visit Ortakoy for the best waffles. 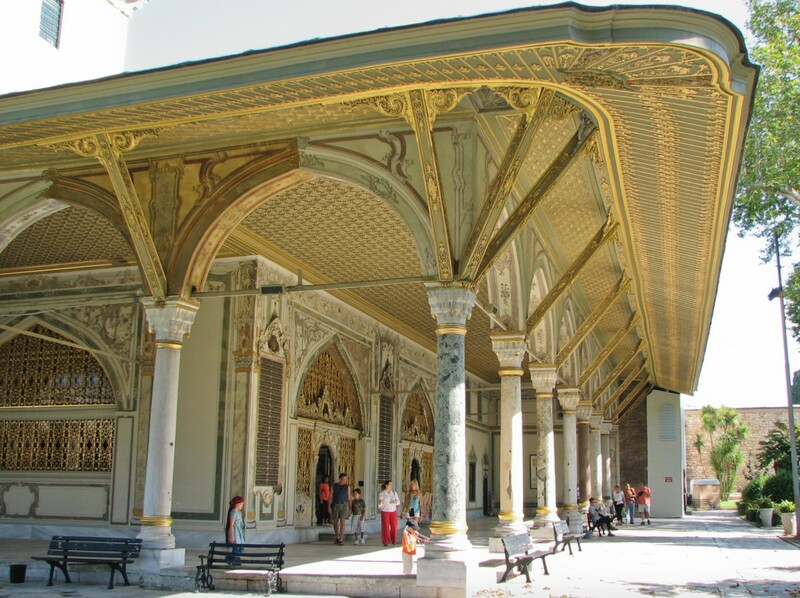 Best location to stay in - For those of you more interested in the museums, historical sights and the mosques - Sultanahmet. 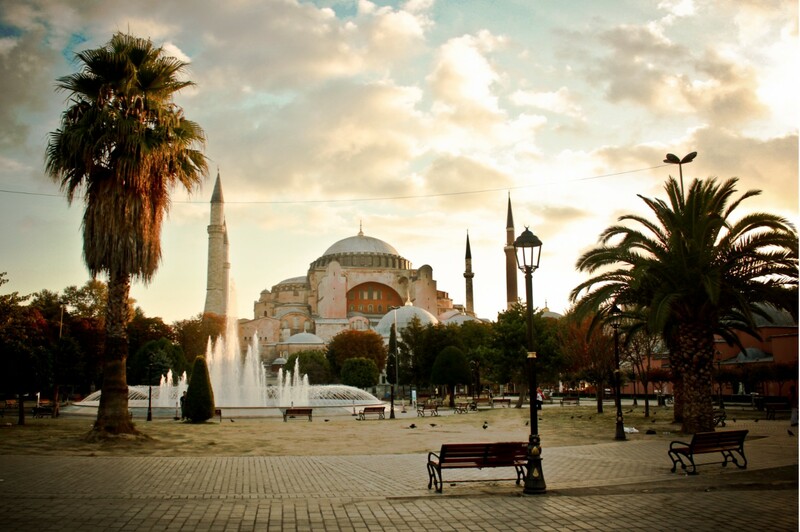 Taksim is also a great area as it is pretty central and is closer to the more glamorous areas. Avoid - Any dark streets/alley ways near Fatih. There are a lot of pickpockets. Nightlife - Taksim and Karakoy for bars and lively atmosphere. © Seyda Karimpour. Design by Fearne.